College DownTime: Making Mead Once Again! Back with my cattle once again. 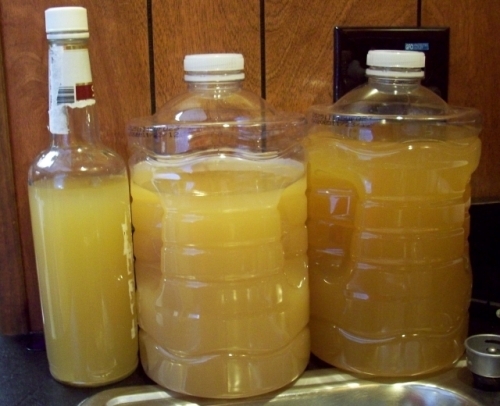 While I was away, I left my last batch of homebrew mead (honey wine) to finalize its alcohol-making processes. Well it's been two weeks since I started it, time to test how it made out. Quite decent. After two weeks, most of the fermentation has stopped. There is still minimal bubbling, but not enough to affect the alcohol content too much, especially since the yeast used is your basic dry yeast. 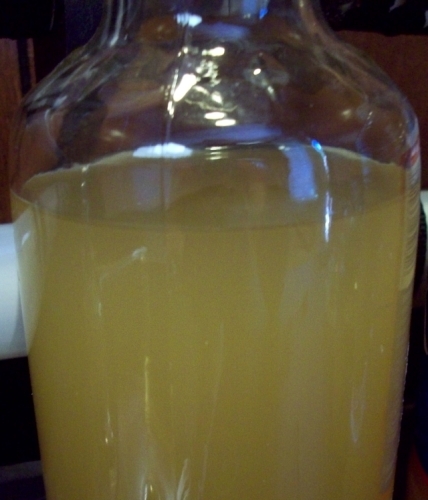 In fact, the slight bubbling seems to give the mead a slight carbonation flavor and texture. After bottling the batch (took a boatload of patience let me tell you), I loosely capped each off since gas buildup might still occur. The next couple weeks will be interesting to see how it settles out. That is absolutely it. This mead was an attempt at a pure-mead, one without any extra ingredients or flavorings. At first taste it is quite sweet since our ratio of honey : water is higher than before. If you want to see our other recipes of previous meads, check them out here. Over the next couple weeks we will post pictures of the mead settling and how to tell when it is clear enough to serve. Cheers! Try getting champagne yeast next time and your next batch will weight in around 12-18% in delicious drunken flavor. I like making mead. Cider is quicker and cheaper though.